The DNA Distribution has been entirely revamped this year! 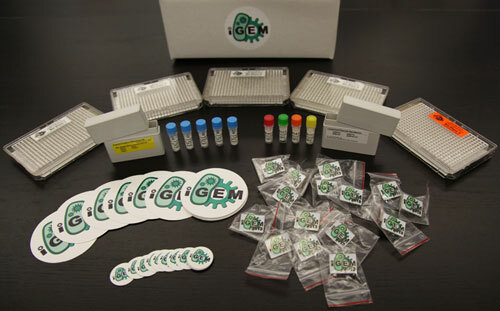 Whether you’re new to iGEM and the Registry of Standard Biological Parts or an experienced participant, please make sure to read through the Distribution Handbook. 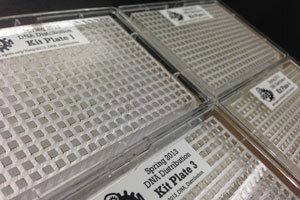 The 2013 DNA Distribution contains over 1000 part samples as dried (miniprepped) DNA, with each sample QC tested through sequencing, AB test plates, and restriction digests. While there is not enough DNA for assembly, you will be able to transform the DNA into competent cells and then make your own glycerol stocks of any part you wish. We’ve made some important changes to this year’s DNA Distribution! 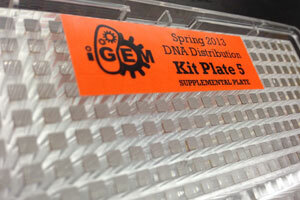 Kit Plate 5 is a supplemental plate for the 2013 DNA Distribution. 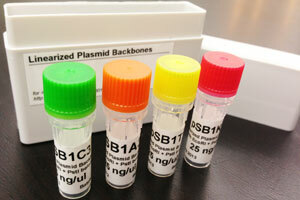 Unlike Kit Plates 1 - 4, Kit Plate 5 does not have parts in pSB1C3. alternate samples for parts that already have a sample with pSB1C3. Whether you’re purchasing competent cells or making your own in the lab, you should test their efficiency before you use them with the parts in the DNA Distribution Kit Plates. 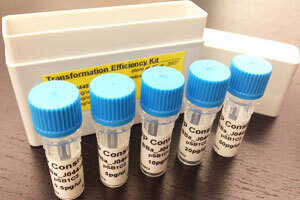 The Transformation Efficiency Kit is a standardized way to test and calculate the efficiency of your competent cells. If you have issues with using the parts in the Distribution Kit, the first thing we’ll need to know is the efficiency of your competent cells. See the Transformation Efficiency Kit page for more in-depth instructions. Storage: The Transformation Efficiency Kit should be stored at 4C or -20C. Transformation Efficiency Kit: The Transformation Efficiency Kit should be stored at 4C or -20C.